Friends Of Animals Rethymno - The animals need hope, the animals need us. The animals need hope, the animals need us. 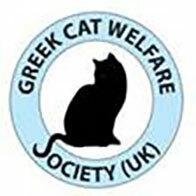 "Friends of Animals Rethymno" is a non-profit organization, with its only income the donations of its members and friends. Donations cover expenses such as food for the animals, medical care, vaccinations, microchips, sterilizations, surgical treatment, e.t.c. Many of the animals we treat are adopted in Germany. Help them reach their new families! If you or your friends are travelling to Crete, please help us by escorting an animal back to Germany.